The best way to book your event place is to use the website and book on line via credit card/Paypal at www.smi-online.co.uk using your VISA, MasterCard, Amex and/or Paypal via our secure online booking service. We do offer other ways to book if you are unable to book and pay on line. We also accept on the day registrations. SMi will need you to provide a credit card for us to take payment. Payment has to be made before you will be able to enter the event. We would recommend that you ring or email us to confirm that the event’s times and dates are still accurate. Our registration staff will be happy to help you. To register for a conference, you can search our website for the event/s that interests you and click on ‘Book Now’ button and following instructions. What are SMi’s contact details? You order number located in your online order confirmation. Account ref number – this is on your invoice number and contains the first letters of your organisation. I have just placed an order and have not received any confirmation. When will I get this? Different conferences have different prices. To find out about the price of booking on an event, please search for the event that interest you and click on ‘Book Now’. How do ‘Early Birds’ discounts work? We offer early bird discounts, if you book by the first early bird date on the conference brochure you receive £300 off the price, if you book by the second early bird date then you receive £100 off the price. We also have promotions on some events. Please search our website for the conference/event you are interested in and press the book now button. Are there any group discounts for events? Conference fees include entrance to the conference sessions, lunch and refreshment breaks, and access to the released conference documentation portal after the event. What are your terms and conditions of event booking? 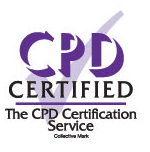 Are your events CPD accredited? The registration fee is exclusive of accommodation costs. However, we negotiate special rates at the conference venues and hotels nearby. Please click here for a list of all our accommodation options or please refer to the relevant hotels that appear on the venue tab next to the event your are booking on. SMi can book your accommodation for you. SMi will ensure that you get the right accommodation at the right price whatever your budget. SMi rates are guaranteed to be lower than those published on the hotel website or any other on line booking website. Remember London hotels book up very fast so please do not delay completing the booking form. Booking early ensure that you get your first choice hotel. At full-day Conferences and Masterclasses, lunch is provided as well as snacks, tea and coffee during registration and during mid-morning and mid-afternoon breaks. Tea, coffee and snacks are available at half-day Workshops and Masterclasses generally due to their shorter duration. What language are your events delivered in? All of our conferences and materials are delivered in English. Can I turn up at an event and pay on the door? We also accept on the day registrations. SMi will need you to provide a credit card for us to take payment. Payment has to be made before you will be able to enter the event. We would recommend that you ring or email us to confirm that the event’s time and date are still accurate. Attendees usually come in business attire unless otherwise specified in the event joining instructions. Does SMi cater for disabilities or special needs? Can I get a refund if I cannot attend an event for any reason? When will I receive a confirmation of booking reference number in order to gain access on the event? An invoice will be issued and must be paid in order to gain entry. You just have to turn up the day of the event. Your name will be on the list of delegates who are attending the event. Full details will be displayed on the notice board on the day of the event. I have booked offline and I have not yet paid. What does this mean for my booking? You can settle your bill at any time by paying by credit card, please call us on +44 (0) 207 827 6000. SMi staff will call you to remind you that your payment is outstanding because we require the full invoiced amount to be settled prior to the event taking place. SMi Group Ltd reserves the right to refuse entry to any customer who has not settled their invoice in full prior to the event. SMi will take credit card details on the day if payment has not been received. Do you delete the card details after taking the payment? Yes, as soon as we receive the payment for the invoice we delete your card details. Why do we need to pay 50% cancellation charges? All bookings carry a 50% liability as soon as the client registers with us after agreeing to our terms and conditions. Can I have a receipt of the payment? Can you please amend the invoice? How much is the card surcharge for American Express and MasterCard/Visa? SMi is charged a fee to process your credit card. We simply pass this charge on to you. We do not make a margin on this cost and we endeavour to keep it as low as possible. The charges are as follows - For American express it’s 3.11% and for MasterCard/Visa it’s 2.043%. You can also pay by Visa debit card for which there is no charge. My Company’s payment terms are 60 days and the conference is in 20 days - can I attend? How do I pay The SMi Group? When you make a payment to SMi group please quote your name, your Unique Reference Number and Our reference. Our bank details are provided on both the booking forms and the invoices we send out. How can I make payment by credit card? If you have received an invoice and would like to make the payment by Credit Card you can contact us on +44 (0) 207 827 6000 and our accounts team will be happy to take the payment for you. I want to book on an event what do I do? If you have not yet booked for an event but would like to register and pay you can either: register through our website and make payment at time of booking. Or you can book offline by completing a booking form (from either our sales team or downloaded directly from our site) complete the details including the Credit Card details in the payment section and fax/email back to us directly. Why have we been charged 20% VAT (when event is in London and client is in EU)? We can confirm that we have correctly charged UK VAT because the place of supply of our service is where the land is located which is the UK. This is because HM Revenue & Customs, the UK Tax Authorities, treat the supply of a stand at an exhibition where the space is allocated in advance as a supply in relation to immovable property. The place of supply is therefore determined by Article 47 of Directive 2006/112/EC. This is an exception to the general rule in Article 44 of Directive 2006/112/EC which states that the place of supply of a service to a business customer is where the customer is established. Please note that the treatment in the UK is unaffected by the changes on 1 January 2011 to Article 53 of Directive 2006/112/EC as the UK Tax Authorities do not consider that stand rental falls within Article 53. VAT is also charged on the Documentation Portal for all UK customers and those EU customers not supplying a registration number for their own country. Why have we been charged VAT on our booking? The VAT Directive 2006/112/EC determines the application of VAT around the EU and has specific rules for the place of supply of services. The General Rule is that services are supplied where the customer is established but there are exceptions to the General Rule for a number of services including admission to an event. This is detailed in Article 53 of the Directive. For more information please click here. VAT charged will depend on where the event is viewed. SMi will assume this is the same address as provided unless otherwise informed. Why do I need to provide a VAT number? I will be unable to attend the event and I am unable to find someone to replace me, I want to cancel my place. What do I do? Yes you can cancel, but you must tell us in writing. Please email events@smi-online.co.uk. We do not accept cancellations via the telephone. If you wish to cancel your attendance at an event and you are unable to send a substitute, then we will refund/credit 50% of the due fee less an administration charge. Provided no other payments are due to SMi from your organisation.. The fee is £50 plus VAT for UK and $99 sgds for Singapore. You must cancel in writing and this must be received at least 28 days prior to the start of the event. Regretfully, cancellations after this time cannot be accepted. We will however provide documentation via the documentation portal to any delegate who has paid and is unable to attend for any reason. Due to the interactive nature of workshops and master classes we are not normally able to provide documentation in these circumstances. How do Substitutions and Names Changes work? Can I share my place at the conference/workshop or master class? I am unable to attend The Conference but I want to buy the documentation, is this possible? Yes, you can buy the documentation only. You need to go to www.smi-online.co.uk and find the conference you are interested in. There is a tab which will allow you to order and pay for the conference documentation. Once SMi has received payment you will be given access to the documentation portal. We will send you a password and a link to the website. You will have access to the portal for one year. You can order in advance of the event but the presentations will not be available until lunch time on the second day of the event. I am unable to attend The Workshop but I want to buy the documentation, is this possible? Unfortunately documentation is not available due to the interactive nature of these events. Can I get the refund as I am unable to attend the event? Unfortunately, we won’t be able to provide the refund until full payment is received. As all invoices are liable of paying 50% soon after the booking and there will be no refunds for cancellations received on or after 28 days before the start of the conference. What if SMi cancels an event? In very rare circumstance SMi may have to cancel a conference and or a workshop. In the unlikely event that SMi has to cancel an event for any reason, you will be contacted by a member of our customer service team to discuss your options including transferring to another relevant event or receiving a full refund immediately. Please note SMi disclaim any further liability. Please check on our venue information page located in the relevant conference section this will help you to see where the venue is located. We also have a general venue page outlining the details of all our venues. Conference times vary so please check the relevant programme. The most up to date programme can be found on the programme tab in the relevant conference page. Please refer to this for start and finish times. I have booked and paid but not received any joining instructions? Please email events@smi-online.co.uk if you have not received your joining pack, also please double check your spam folder. What is included in the joining instructions? Links to hotel and accommodation information, links to the programme, information on delegate substitutions, name badges and documentation, what to wear and finally refreshments. I want to move to another event - what do I need to do? Please contact SMi events@smi-online.co.uk and we will try to arrange this for you. Full payment must be received before any transfer is made. SMi will book accommodation at the hotel where the venue is taking place or in a hotel nearby. This information is on the website and included in your joining instructions. Please complete the accommodation booking form which is in the venue section next to the conference you are interested in attending. We will take care of the rest. SMi will ensure that you get the right accommodation at the right price whatever your budget. SMi rates are guaranteed to be lower than those published on the hotel website or any other online booking website. Remember hotels book up very fast so please do not delay completing the booking form. Booking early ensures that you get your first choice hotel. The venue is booked out - where can I stay for the duration? We will assist in finding one of the nearby hotels. We have rates with which to book you in for your stay. Please see information above. Can I book accommodation for my family? When do I get my event badge? What if I want hard copy presentations? If you are an attendee on the second day of the conference we will provide access to our documentation portal for you to download all the presentations agreed by speakers, you can therefore print these. Unfortunately, we do not provide hard copy presentations; you can purchase these if you wish. What documents do I get at masterclasses? You will receive a programme for the day, an evaluation form and If the leader has provided handouts beforehand these will also be supplied. We do not provide attendee lists before the date of the conference. All delegate lists are displayed at each event on a notice board. All instructions about how to find the venue and the venue details can be found by searching the “Venue Tab” on each conference/event page. Each attendee will also receive a detailed joining pack from our events team providing full details about each venue. There are no strict stipulations on dress code, although it is usual for speakers and delegates to wear business attire. We would request, however, in accordance with SMi company policy, that military uniforms are not worn to defence conferences. At full-day conferences and masterclasses, lunch is provided as well as snacks, tea and coffee during mid-morning and mid-afternoon breaks. Tea, coffee and snacks are available at half-day workshops generally due to their shorter duration. We also provide access to the documentation portal containing all of the presentations for conference attendees. What language are your events conducted in? What will I need from you to apply for CPD points? If you let the event coordinator know that you would like to apply for CPD points, we will write you a Certificate of Attendance that will indicate how many hours the conference lasted. This will help you when you apply for CPD points. What do I need to bring with me to an SMi event? SMi does not issue tickets - so please bring with you booking confirmation and proof of payment. If you are unable demonstrate proof of payment, we will have to ask for your credit card details in order to allow you access on the day. We use these credit card details as a payment guarantee. You may find that having lots of business cards with you for the networking sessions is also helpful. Why have you made alterations to the conference programme? Unfortunately, it may become necessary for us to make alterations to the content, speakers, timing, venue or date compared to the original advertised programme. SMi organises conferences many months prior to the event taking place and as the event date approaches, sometimes we may need to make substitutions, alterations or cancellations of the speakers and/or topics. Speakers are sometimes unable to attend for personal or business reasons. SMi make every effort to find a suitable replacement but as speakers can pull out at the very last moment we are not always able, despite our best endeavours, to provide an alternative speaker. How Can I Send Feedback To SMi? Your feedback is important to us. We provide evaluation forms at each event and we are always keen to know how to improve our services for you and other visitors to the site. I have sponsored a drinks reception - what do I need to provide ? Please ensure that you have provided a high resolution logo (preferably in an EPS format). We will take care of the rest for you. When do I need to set up my stand? Stand building takes place from 07:30 – 08:30am on day one of the conference. What other sponsorship opportunities are available? When does our stand need to be removed? You may break down your stand after the end of the afternoon tea break on day two, or after the conference. How long are sponsored drinks receptions? Please refer back to the sponsorship contract. How many words are required for the company Bio? This is normally detailed in your sponsorship contract. Generally, this should be approximately 50 words. Will my stand staff receive lunch? Yes indeed – please do join us for lunch. Can my stand staff attend the conference? Please clarify this with our sponsorship executives. I am doing a literature drop at the event - what do I need to do? Please send your literature to the venue “Care of SMi “ . The venue address can be found on the venue tab for the relevant event . Please ensure it arrives no more than 3 days before the conference and we will ensure it is distributed for you. Sponsorship booking carry a full cancellation charge and this is outlined in our terms and conditions and in each booking contract. Can I transfer my order to another event? Transfers are not allowed as part of our current terms and conditions. When are the presentation slides distributed? Presentation slides are available to download from our portal by close of the second day of the conference. May I have the contact details of the delegates who didn’t attend? It is part of SMi’s company policy not to distribute any details of our delegates. However, we can contact the delegate and ask whether they are happy to be contacted by you. Must we ship our materials or can we bring it with us on the day of the conference? What format should my presentations be in? Please send your presentation preferably in PowerPoint format or also in PDF?, Please liaise with your nominated events executive. When do you need my presentation by? Will my presentation be recorded? Unless informed beforehand your presentation will not be recorded. Can I bring an assistant to the event? Please get in touch with your nominated events executive who will be able to help you with this. What if I can no longer present at the event? If you are unable to attend the event on the given date and time, however would still like to present, SMi offer a few different methods of accomplishing this goal. The stream is live both ways, and as such you will still be able to interact with your audience and answer any questions. If you wish to conduct a post or pre conference webinar to interested parties, this too can be facilitated. We encourage our speakers to do interactive content as this expands the learning engagement facilitated at conferences, and takes away some of the boundaries of time and location. In the event that you are unable to speak for your whole session on the day we are able to pre-record your speaking slot and play it to the audience on the day, in past scenarios such as this, the speaker has been able to attend remotely to answer any questions, the audience will not really feel the difference as questions are usually raised only at the end of a speaking slot. We can still make content available on the document portal as special bonus materials if you are unable to speak on the day, this content can take the form of presentations, or other documents / audio / video that you would wish to share with the attendees of the conference. Please contact it@smi-online.co.uk for further information on how and what you will need in order for you to take advantage of the above opportunities. In all remote presentation / webinar scenarios you will need to have access to a stable internet connection, a stable computer, and preferably a headset. Due to bandwidth at venues we do not encourage the use of webcams to stream a live video feed of yourself to the audience, as priority is given to the clarity of the audio. In the event that you only have access to a telephone and not a PC head set, do not worry, although it is preferred to use VoIP, we are able to patch in telephone lines too. What do I need to do as chairperson? You have a vital role in making the conference a success. You will need to ensure the conference runs to time. Introduce each speaker before their presentation and mediate the question and answer sessions after their presentation. Presentations are usually 30 mins + 10 mins for questions and answers. Some SMi events may have a panel discussion and you may be required to chair and mediate these. English is not my first language - do you have a translation service? Unfortunately, we do not provide a translation service. What do I need to do as a workshop leader ? Each workshop leader will have an opportunity to connect with key players in their sector. In order to ensure all workshops are as effective as possible, we ask workshop leaders to provide SMi with handouts so we can ensure they are given to the delegates at the workshop. I am a masterclass leader; what do I need to provide SMi? Each Masterclass leader will have an opportunity to connect with key players in their sector. In order to ensure each Masterclass is as effective as possible, we ask Masterclass leaders to provide SMi with handouts so we can ensure they are given to the delegates at the workshop. How many attendees are booked on my masterclass/workshop? Please get in touch with your main point of contact at SMi who will be able to help you with this. SMi runs all of its workshops and masterclasses with a minimum of 5 attendees. When do you need to receive my presentation? The deadline for receipt of your presentation is 2 weeks prior to the conference date along with any technical requirements and a 150-200 word speaker introduction. How long is my speaking slot? Usually 40 minutes, unless otherwise stated. This also permits a 10 minute Q&A session at the end. Do I need to send you a picture? How long does my bio have to be? 150-200 words. We include this in the conference documentation for the delegates to see and also for the chairperson to introduce you. How did my presentation score at the conference? Please email production@smi-online.co.uk, the producer of the event will then get back to you with your marks from the evaluation form and any feedback provided. The speakers usually come in business attire. The dress code is comfortable business attire. Presentations will be available to attendees via our online documentation portal at the end of day 2. The distribution of presentation materials is subject to the speakers’ permission. Non-attendees can purchase materials. How long is my presentation slot? Normally 30 minutes + 10 minutes for questions and answers. Please get in touch with your main point of contact at SMi who will be able to help you with this. Will there be media in the room? Media do attend SMi conferences. If you have a particular query regarding the event you are presenting at please contact your nominated event executive. To see the latest list of speakers please view the programme or speaker tab on the relevant event page on our website. What kind of people will attend your conferences? We pride ourselves on being connected to the best and most Knowledgeable & Expert speakers in your business sector. We believe in bringing you together with your peers in order to Learn, Engage, Share and network with the very best. We hold events in over 30 major cities throughout the world including London, Paris and Singapore and have welcomed over 200,000+ participants from 80 countries to our events. We outline the benefits of attending and summarise who has attended previously on the relevant conference event page. This will provide you with a good insight into our attendee profile. SMi events are attended by director and senior management in business and government. How many attendees will I be presenting to? SMi conferences vary in size from 50-400 attendees. Please contact the nominated event executive who will be able to provide you with more details closer to the event. Workshops and masterclasses have between 5-30 attendees. Spaces are limited on these events as they are more intimate and involve training. I would like to speak at a conference or run a workshop/masterclass, who do I contact? Why can’t I access the delegate list? Why don’t you distribute copies? Do I get preferential rates at the hotel? SMi can book your accommodation for you. SMi will ensure that you get the right accommodation at the right price whatever your budget. SMi rates are guaranteed to be lower than those published on the hotel website or any other online booking website. Remember London hotels book up very fast so please do not delay completing the booking form. Booking early ensures that you get your first choice hotel. Will access to the rest of the conference be free? As a valued speaker you get free attendance to the conference. In some cases we can also allow you to attend the workshop free of charge. How do I register for a press pass ? On the day of the conference, you will receive a documentation pack with the updated agenda, venue information and the speaker biographies, as well as sheets for your notes. Speaker presentations are available on the documentation portal. The presentations will be viewable on the portal on the second day of the conference after lunch. To access the documentation portal you will be emailed a password and a link to the website. In very rare cases, speakers will not allow us to put their presentations on the portal or will give permission for their presentations to be distributed in hardcopy at the conference. What is the documentation portal? The documentation portal is a website that contains the speaker’s slides and presentations for each conference. When will the presentations be ready to download? You will receive an email on the second day of the conference which will include a URL, username and password that will direct you to the SMi documentation portal. The portal contains all the presentations and profiles provided to us by the speakers. This is available to you for 60 days after the conference has taken place. I attended an event and / or purchased online document portal access but do not have my online document portal login details. How do I get these? If you have not received these details please contact it@smi-online.co.uk with your support reference number. I have accessed the document portal and can access most of the presentations but some are not available. Why is this? All of the presentations and speaker biographies that are available for access are on the website shortly after the last day of the event. There can be times when speakers request that their presentations and / or biographies are not made available. Unfortunately, we cannot distribute these against their wishes. How long can I access the document portal? If you attend an event, you will have 60-days free access to the documentation. Documentation can be downloaded from the website. After this period, you would need to purchase the documentation. What do I do if I notice some problems on the SMi website? If you are experiencing any technical difficulties with our website, please email us at it@smi-online.co.uk with a description of the problem/error and we'll try to help. Email is SMi’s preferred method of communication. SMi Group will send you related market information and advanced notification of related conferences and events. What will SMi do with all of my information? The SMi Group gathers personal data in accordance with the UK Data Protection Act 1998 and we may use this to contact you by telephone, fax, post or email to inform you about other products and services.